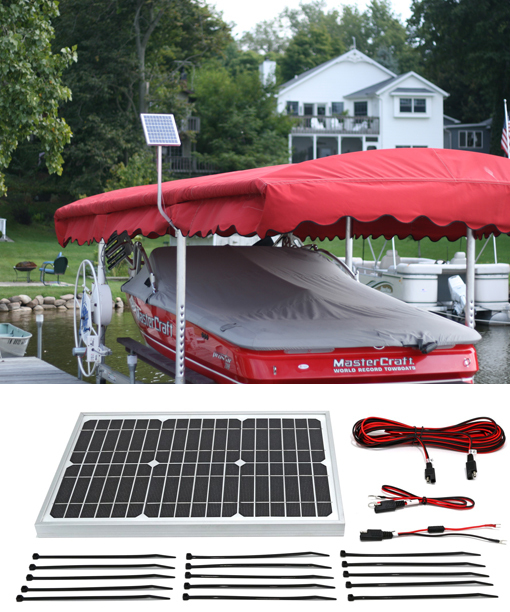 The 15 Watt 12 Volt Solar Marine Charging Kit provides extra power than our 5 or 10 watt systems and is ideal for charging lifts for medium weight boats (less than 6000 pounds) or small boats taken in and out of the water more than once or twice per day. You can select this item without a tray or select either a Universal or Hanging Tray for an additional cost. Please note that a Hanging Tray requires a boat lift canopy. 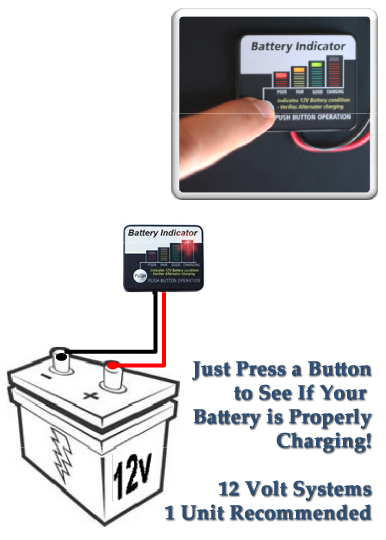 As with all of our solar chargers, it can also charge engine batteries and 15 watt 12 motors. 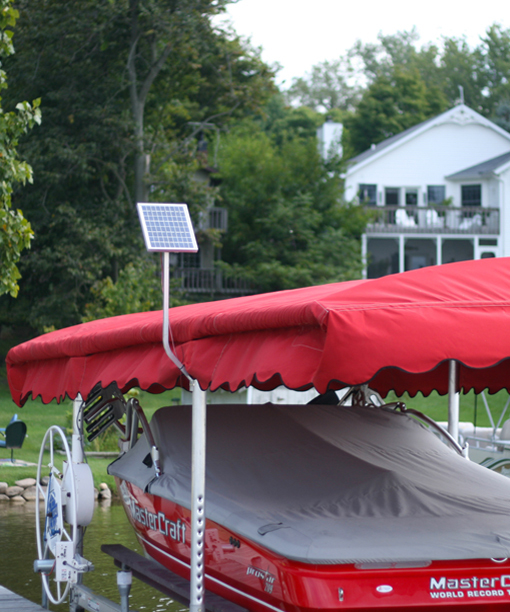 With a high quality solar panel and components, your boat and/or lift will be in top condition for power to raise and lower your boat when you need to. This system is perfect for the average weekend boater as well as light to medium weight boats. 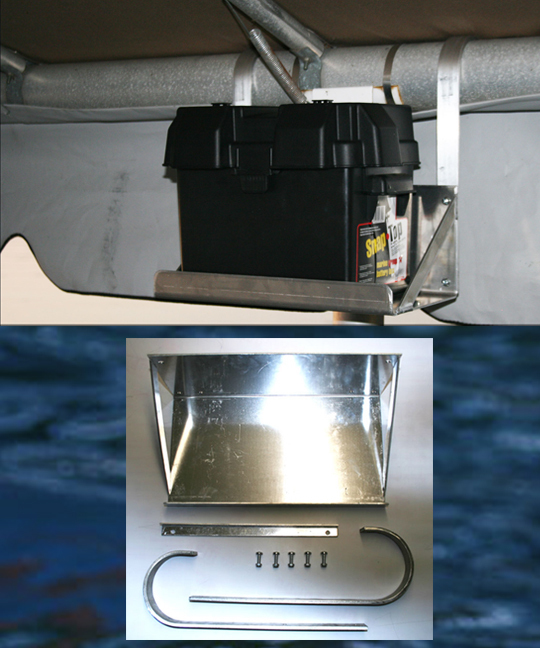 If you require several lifts per day and or have a heavier boat please consider our larger solar charging kits. 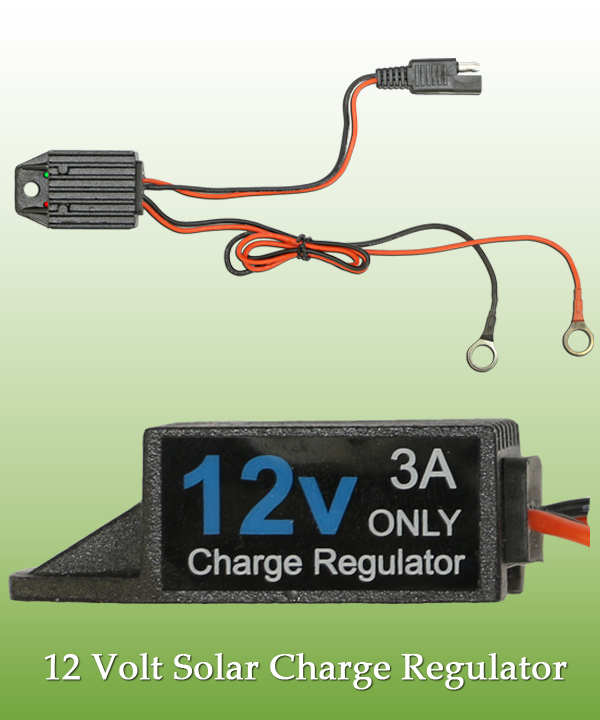 This is one of the first solar charge regulators for 12 volt systems with an Intelligent Battery Management System (IBMS). The IBMS has an advanced micro-processor programmed that intelligently monitors battery conditions up to 100%, opposed to standard PWM regulators that monitor batteries at 55-60%. 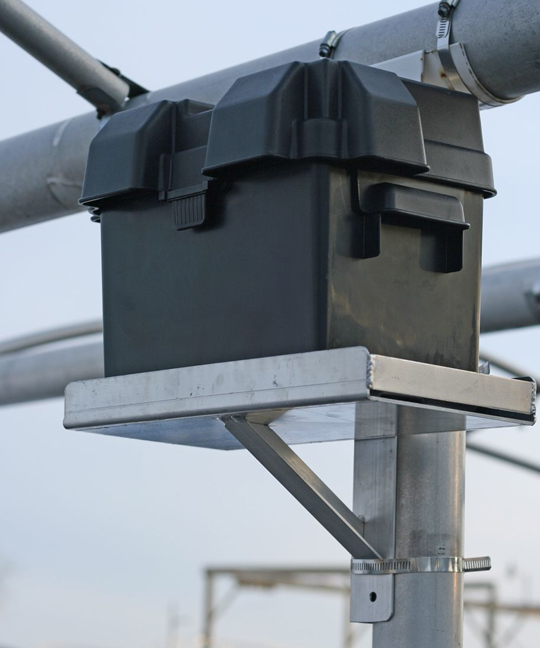 Rugged aluminum housing and epoxy encapsulated electronics makes this unit durable and water proof.